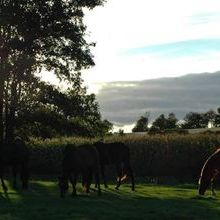 Buxton Equestrian is run by Katie Buxton. 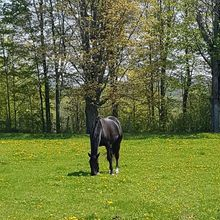 Katie has extensive experience in the horse industry, having worked with everything from racehorses and performance horses, to foals and stallions; she also has her Equine Canada Rider Level 8. 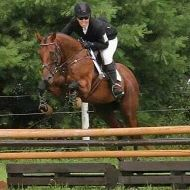 Katie specializes in training the young horse for a performance career, and has a special interest in off track Thoroughbreds. 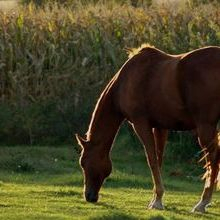 She believes in a solid dressage foundation before beginning over fences work, and in not pushing a horse too far too fast. 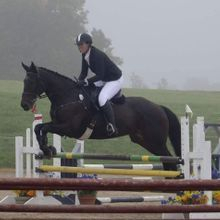 Katie has competed in Hunter/Jumpers and dressage at the schooling level, and Eventing at the silver level. 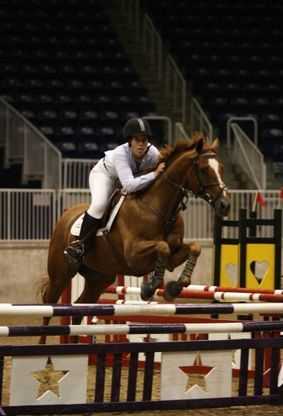 She currently takes dressage lessons with Briannon Johnson and jump lessons with Ian Roberts. 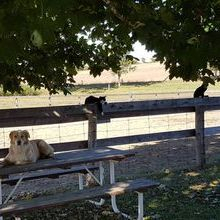 She has also participated in clinics with Garry Roque, Jessica Phoenix and Waylon Roberts. 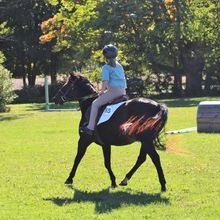 Katie continues to improve her riding through clinics with well-respected coaches as often as possible. 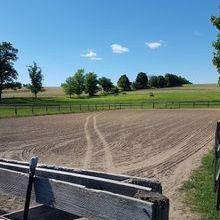 The farm boasts 10 acres of gorgeous pasture fenced in a mixture of electric, post and rail and page wire. 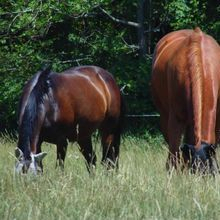 Fresh water in each pasture; run-in sheds and trees for shelter. 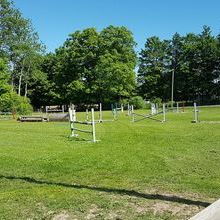 We have a lovely lighted sand ring, a grass ring with a full set of stadium jumps and a few xc jumps, and lots of quiet roads and trails for hacking. Monitored 24/7. A new 6 stall barn was constructed in 2016, with finishing touches being put on in early 2017. Katie and her partner, Mike, along with Katie's father, Steve, work hard to keep improving the facilities!